“I began collecting cards in 1982 when my father found his childhood baseball cards at his parents’ house. My dad used the old cards to share his childhood memories as well as teach me the history of the game and I was quickly hooked. We often went to shows and card shops while I was growing up, looking for cards from our favorite teams (the Detroit Tigers for my dad and the Cincinnati Reds for me). We also enjoyed meeting current and former players and in doing so we built an autograph collection together from going to shows, games and spring training games. “Our collecting really boomed in the late ‘80’s, and we were amazed at the quality of the product and photography when Upper Deck came on the scene. The Upper Deck cards quickly became our family brand and we put together their sets every year. I left home for college in 1992, and our collecting slowed down as we were apart. When I graduated and had more disposable income, I slowly got back into the hobby, and it has continued to grow each year. 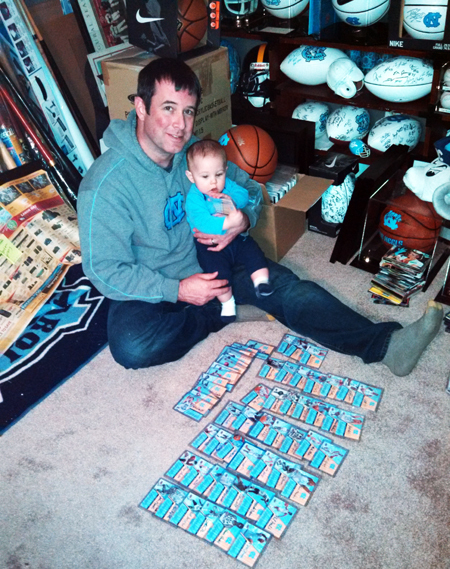 Unfortunately Scott has not been lucky enough to pull a Jordan autograph from the packs for his 72-card autograph set. “While I started my collection with baseball cards, my love of all sports came into play and I began to collect the three major sports after college, as well as focusing more on collecting autograph cards, where UD again is the industry leader. 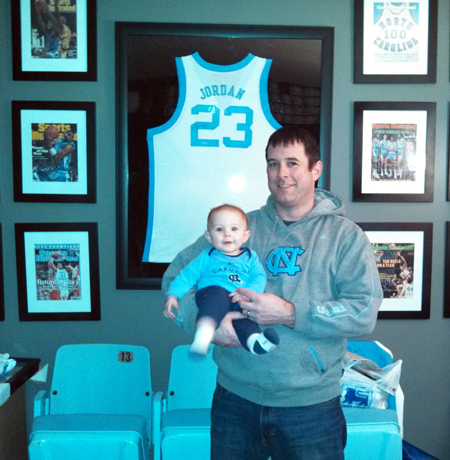 My prized item is signed Michael Jordan Upper Deck Authenticated UNC jersey my amazing wife gave me for a wedding gift! My wife and I welcomed a son into our family this past June, and I greatly look forward to sharing my hobby with him as my dad did with me! This dynamic duo is just two cards away from completing their first-ever master set together. Hopefully the first of many! 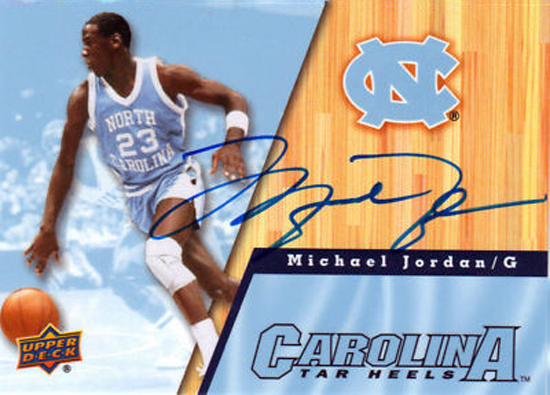 can I ask you what is the value of a Michael Jordan North Carolina Signed Card? The same like you have also in your collection.